FHA approved lenders are the people who can help you acquire a place you can call home. Time is hard right now as everyone is aware of the economic conditions. People work hard to earn a living, so it is not that easy to save money to buy a home. Some people think that getting a loan can be helpful in this situation. You decide to apply for a conventional loan before contacting the FHA approved lenders. Everyone dreams of buying a house of his own. But not everyone is lucky enough to fulfill his dream especially with the low income and bad credit scores. When you apply for conventional loans with a low credit score, they will be most likely to refuse it. But it does not mean that you can never get a house of your own. FHA loan provides great assistance to many first time home buyers. It offers mortgage loans with low down payments. You have a low credit score, no worries still you have a chance to apply for FHA loan. But the recent policies have made it out of reach of the people who have a questionable credit history. Your FICO score is 580 or higher you can obtain FHA loan for 3.5% down payment. Your FICO score is lower than 580, then get an FHA loan for 10% down payment. It is essential to know that the FHA does not provide the loans directly to the borrower. The lenders approved by FHA offer loans to the consumers. In other words, FHA loan is a simple loan insured by federal housing administration to save the lenders from the loss that may occur if the borrower fails to repay the loan amount. The lender has to adhere to all the guidelines set by the federal government to be in the list of the approved lenders. Find an approved lender and submit your application. It is not that difficult to find an approved FHA mortgage lender in your area especially in the era where everyone uses the internet. Just type the words “FHA approved mortgage lenders and then write the name of your city or state.” You will get a list of all the approved lenders. Pick one of them and contact him to take a step further in the process of fulfilling the dream of owning a house. The borrower has to submit an application to HUD and pay a fee that is non-refundable. He also has to provide various organizational and financial documents for HUD review. The FHA approved lenders must check whether the borrower has met all the specific guidelines set by FHA to apply for the loan. 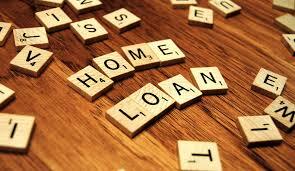 FHA mortgage loan is no doubt an excellent opportunity for the people with low down payments to buy their own house. FHA Loan Qualification: Am I Going To Make The Cut?